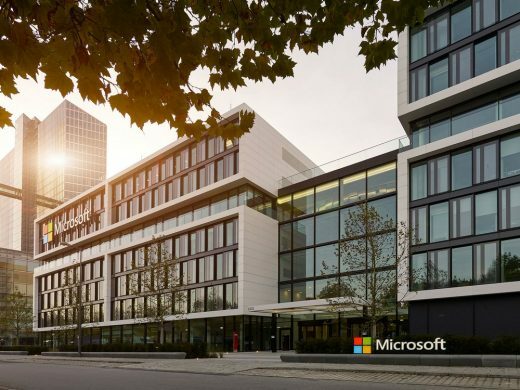 The project development comprises an administrative building, completed in 2016, of which, Microsoft currently uses around 90 percent – the long-term goal is to rent the entire space. 1,200 work stations are arranged over up to six floors. Based on a design by HENN, the listed building, designed by architects Walther and Bea Betz, underwent energetic restoration and comprehensive restructuring of the interior rooms. 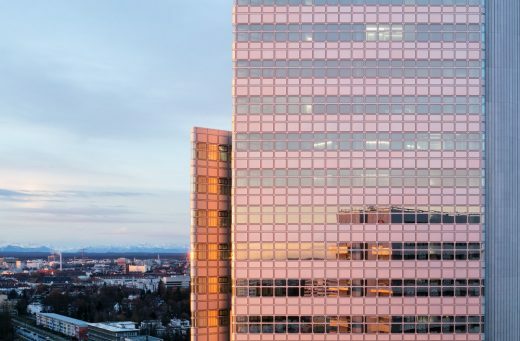 The challenge was an exact preservation of the building’s external appearance with a façade corresponding to the demands of a modern, energy-efficient building envelope. 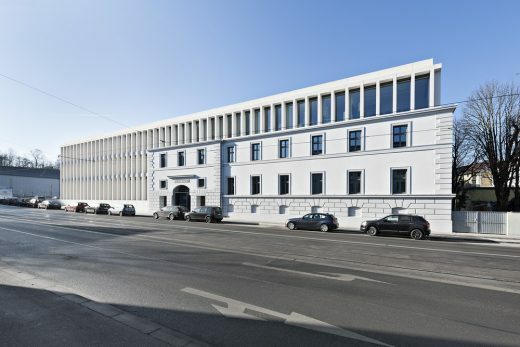 This page contains a selection of major Munich office building designs, with links to individual project pages. We’ve selected what we feel are the key Bavarian Buildings, but additions are always welcome.